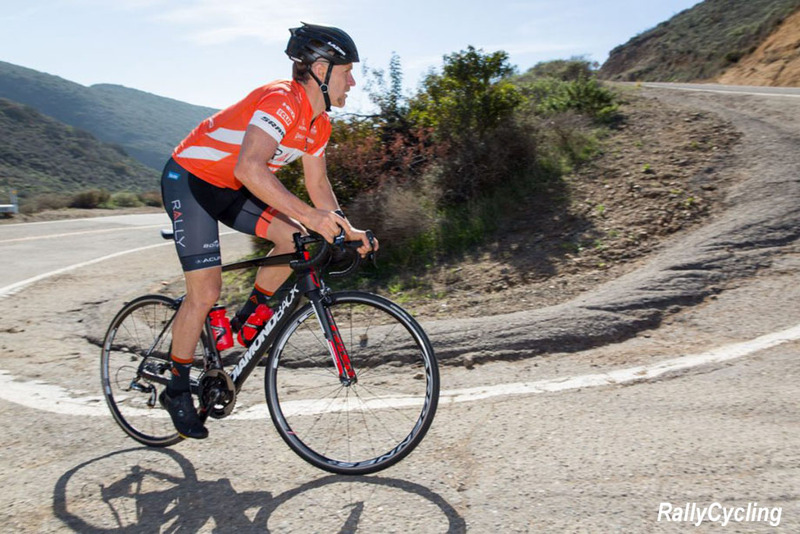 PezCycling News - What's Cool In Road Cycling : US Star Brad Huff Gets PEZ’d! US Star Brad Huff Gets PEZ’d! 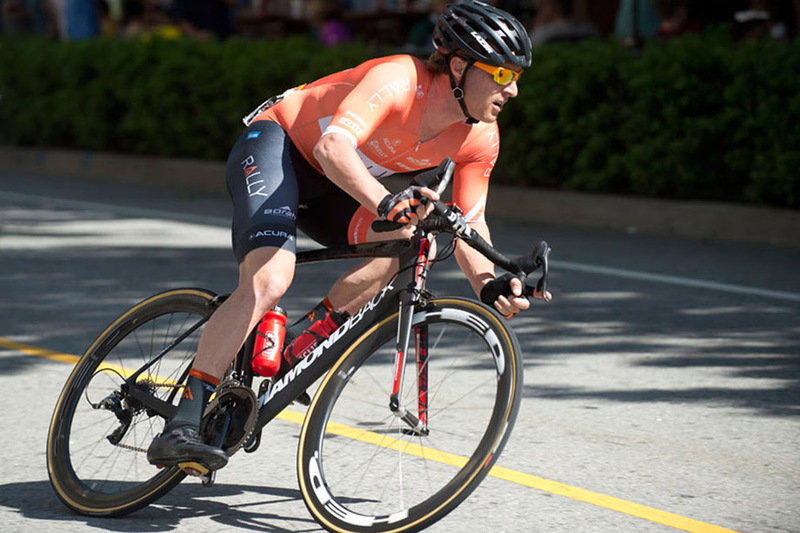 Rider Interview: There are going to be a few missing names from the US pro scene in 2019 and Brad Huff is one of the biggest signatures not to be on the start lists next season. Ed Hood caught up with the fast-man from Missouri to hear about his career - The highs, the lows, how he got started and the future. 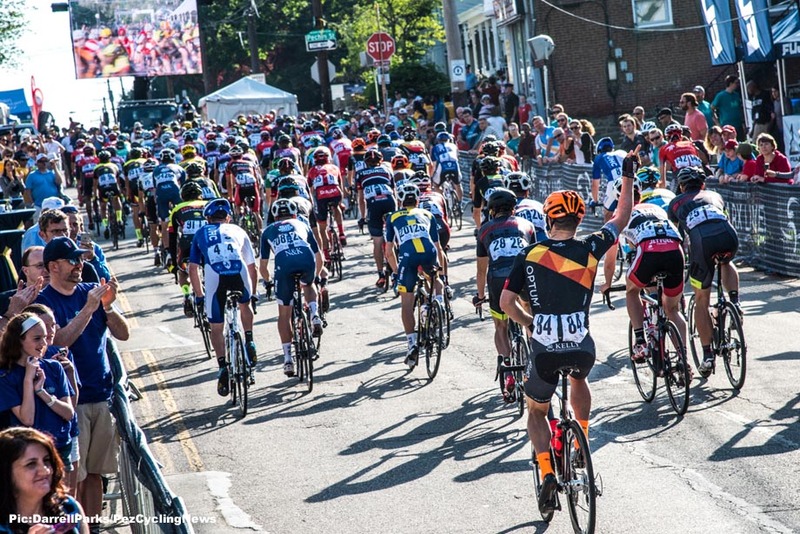 The 2019 US road season just won’t be the same. How come? There will be no Brad Huff in the peloton, that’s how come. 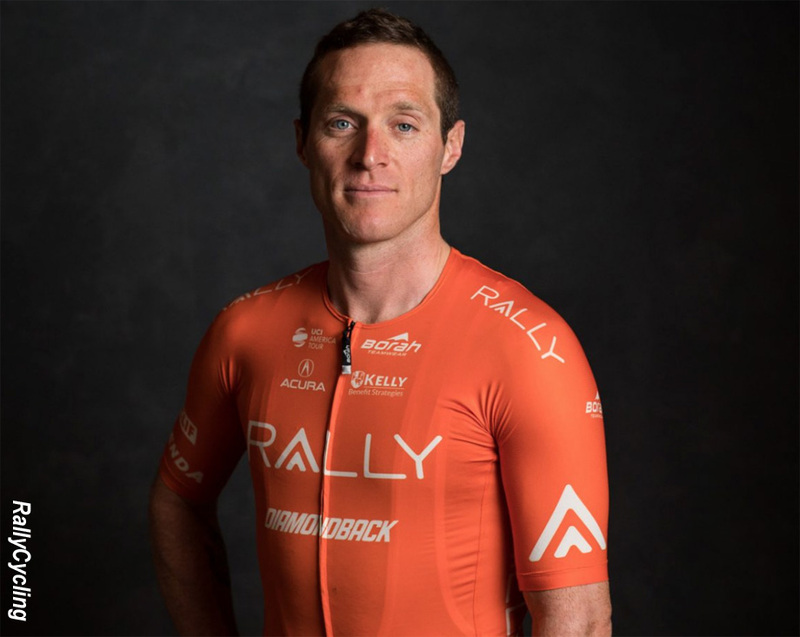 Twice US Professional Criterium champion, multiple winner on road and track with Worlds and Pan Am medals – and even the occasional six day ride - to his name. We couldn’t let the man go without hearing his story. . .
PEZ: You were a ‘BMX kid’ – how did the graduation to track and road rider come about? 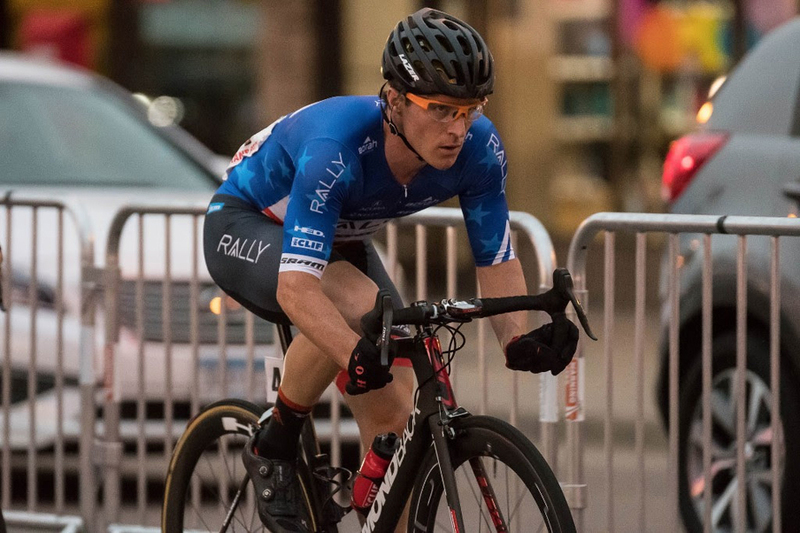 Brad Huff: In high school, I jumped on to a Huffy MTB (seriously) to gain some more endurance for running and I never looked back. I raced MTBs all the way through high school, actually I remember telling my American football coach that I had a race the coming weekend after a Friday night game, he just said to show up for practice on Monday. PEZ: 2004, US Madison Champion; 2005 US Pursuit Champion and a Pan Am medal but you didn’t go down the ‘pure track rider’ route? Being a pure track rider in the States didn't have the funding back then and actually it hasn't had the support it truly needs to develop up until recent years. Even the multi time World Champion women’s team pursuiters have done a lot of it out of their own pockets. PEZ: 2006 and TIAA-CREF with Mr. Vaughters, tell us about that team. I was in the right place at the right time with the right results (Elite Criterium title and Pursuit title). He was wanting to build a team pursuit squad, then shifted his focus toward the Tour shortly after we underperformed on the track. PEZ: That year, 2006 saw you win a six hour stage in the Tour of Normandie – tell us about that one. That was my first every race at the pro level in Europe. It was THE coldest day I have ever had on the bike to date. The day was slow as there was a solo rider off the front. I remember Michael Creed and I sitting at the back of the group trying to warm our hands in our sub par gloves. We crushed the lead out and I somehow won the slight uphill sprint against some of the best up and comers in Europe at the time. I still haven't ever seen the finishing picture. It is the one that got away I guess? So if anyone knows where it is, please send it my way. PEZ: And you were US Criterium Champion that year too – a hard race to win with so many specialist present. 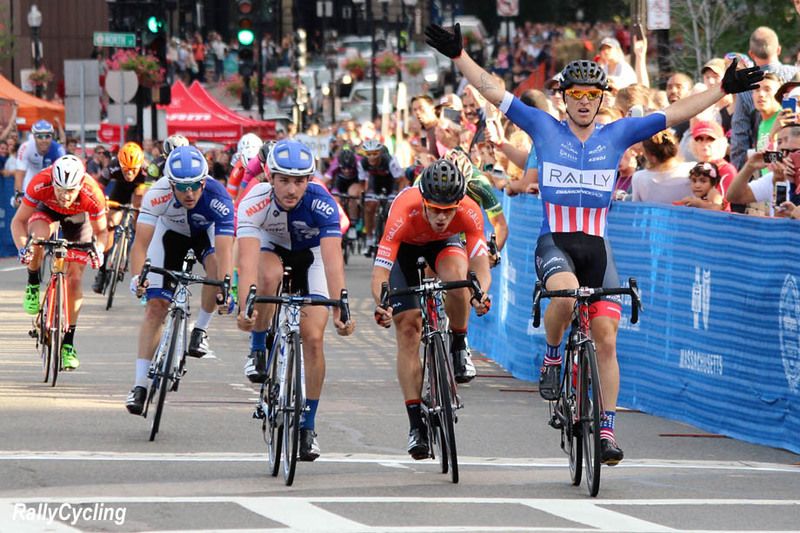 That was when USA still allowed foreigners in the Criterium National Championships and it was on the very selective Downers Grove-Chicago course. I had won the Elite title the year before so I knew what it took to win, but the pro race was 100 kilometers and that was a new level that I had rarely performed at. Our team covered every attack of the day and by the end of the race everyone was obliterated except for me, I just surfed the other pro team lead outs. I distinctly remember telling Karl Menzies that I wouldn't get in his way as he lead out his sprinter in the closing laps. I had to hold position beside the lead out train and not behind in the draft as the fight was so fierce. Luckily for me I can read a crit well and maximize other teams without pushing my way in to their train. Heading in to the final corner Tony Cruz tried to cut my inside in the corner which caused both of us to lose momentum and Hilton Clarke (Aussie) had a clean line to the win. Out of the final corner I out kicked Tony to the line, securing the first US finisher and the US Pro Champion title. To this date I am the only US rider to win the Elite title and follow it up with the Pro title the following year. 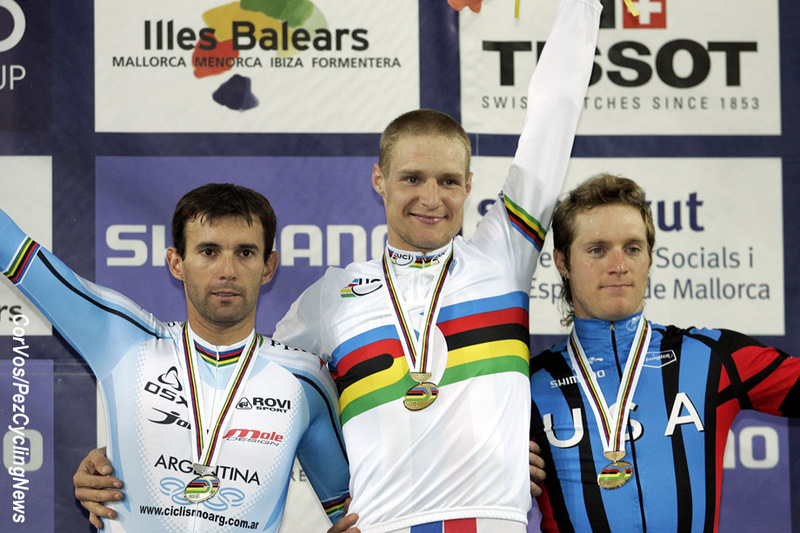 PEZ: 2007 – Pan Am and Worlds medals on the track; did those performances not have you considering going down the ‘specialist track man’ route? I was not re-hired by JV because I chose to be a track specialist that year. My road race really suffered because of my spring preparation on the velodrome in LA instead of the road miles like almost all of my teammates. 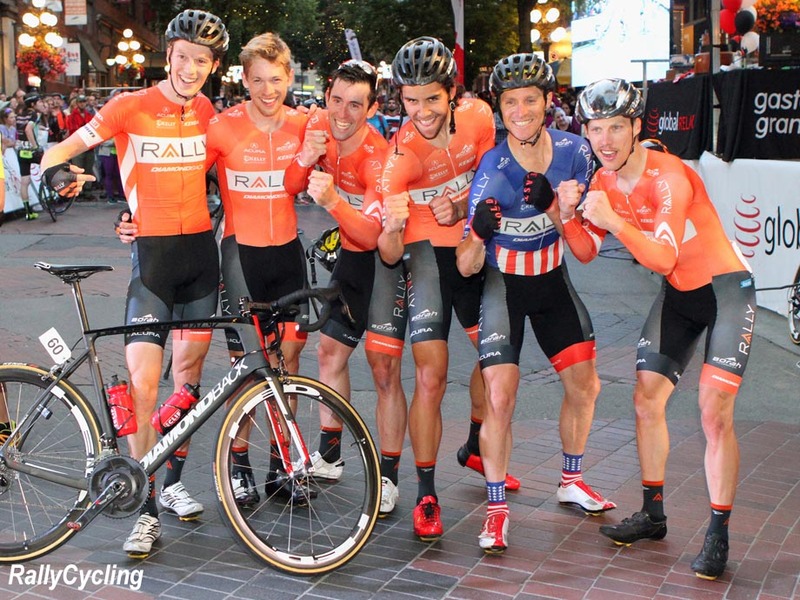 Although that preparation did secure two Pan Am Championship gold medals and an irreplaceable bronze medal at the Track World Championships in the omnium. Personally I did commit fully. Then I realized that a track performance is not a good way to guarantee a road contract. In hindsight, I am so proud with what I did, regardless of losing an invaluable contract with JV because of it. What I did learn is, don't disregard your day job for your alliterative motives as you will lose sight of what enables those personal desires. It goes without saying that JV supported me 100% to gain those medals. In fact, he emailed me about how proud of me he was for how I handled myself under such difficult situations leading up to Worlds (poor road performances and 10 days of terrible sinus infection keeping off the bike). I just didn't realize at what cost for my future road career. So from then on I did not risk my road contract for the chance to race a few velodromes around the globe. PEZ: 2008 you went to Jelly Belly, the team you are perhaps most associated with, tell us about your time there. My DS there, Danny Van Haute, was like a father to me. He was so committed to me and the team around me that it will go down as my most favorite team that took me to some of the most crazy places and memorable results. The Jelly Belly Candy Company might seem like an odd sponsor for a team focused on fitness and peak performances, but you know what, families across the globe LOVE IT and that’s what this sport thrives on - Fans! PEZ: You always rode well in Asia; stage wins in the Tour of Hainan for instance – why did that environment appeal? The lead outs were fast and furious. My Jelly Belly team mates always went all in to help me position and survive. Plus I was really motivated to prove something to those who doubted me. PEZ: 2012 was a BIG season for you; do you consider it your best – why so good that year? It started off poorly with a separated AC joint (shoulder) in Taiwan, so I think the little bit of rest helped me to have a fruitful season. Instead of just burning myself out like I had done in previous years. Having that sixth place overall at Tour of Korea was huge for my personal motivation. I also was second for the second year in a row at Criterium Nationals, which hurt but also validated that I wasn't slowing down. I think I also won Dana Point Gran Prix for the second year in a row, placed a close second to my favorite race of the year Tulsa Tough (pronounced Tulsa Huff as I had previously won in two years in a row), and several other outstanding results in the US and maybe even a top five in the Japan Cup Invitational Criterium... but it is hard to remember all those results. 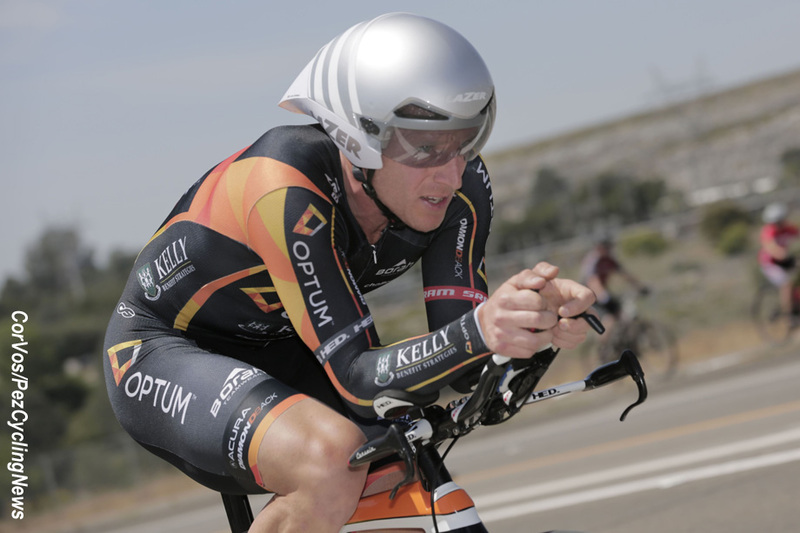 PEZ: 2014 and 2015 – Optum Kelly, it must have been a wrench to leave the Jelly Belly team - how was your time at Kelly? Remember how I had said that Danny Van Haute was like a father to me? Well, I had become the temperamental teenager and he was the grumpy Dad. We loved each other but something had to give. Moving over to Optum truly saved my career and helped Jelly Belly reach new heights (winning Tour of Utah shortly after I left). I loved Charles Aarons (the man behind Kelly and now Rally, ed.) team from the start. That team was like a band of brothers that would put it all out there for their teammate, no matter what. I led Eric Young out to countless victories over my five years with the team. Currently known as Rally Pro Cycling. PEZ: Then the team became Rally for 2016 and the crit champs win again, that must have been special? It had been 10 years since I had been Criterium National Champ. A whole decade of pushing and pushing to keep proving to myself and those around me that I wanted it more than anyone. If you watch the final few laps of that race, you will see I always put myself in the right position and if I lost that position I quickly adjusted to keep myself in the right spot. In the final laps, it was a UHC train all the way. Everyone thought it was UHC's race to lose in those final laps. In fact my director even held up a white board that read 'NO BLUE TRAIN!' Oh man, the internet loved that one! 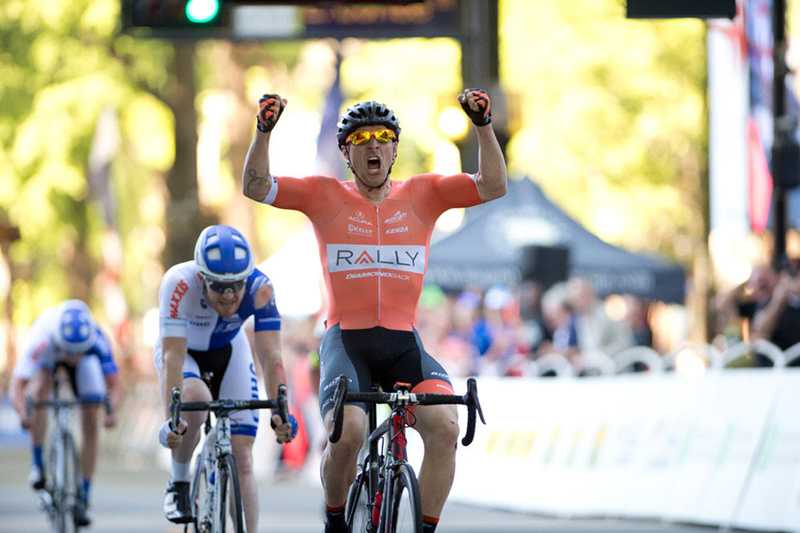 In the final few turns Ty Magner (then on UHC, currently the US Pro Crit Champion on Rally Cycling) had it so strung out that no one could move, his two sprinters had the win on a platter out of the final turn. Behind their train three sprinters where doing everything they could to hold position and fight to have a chance, Daniel Holloway (former Pro Crit champ and Multi time Elite Crit Champ), Travis McCabe (following years 2017 US Pro Crit Champ), and myself (an old ‘has been’ in most people’s eyes). Let’s just say I took the final two turns faster and more crafty than anyone and the UHC lead out train. I was able to go by THE John Murphy (two time US Pro Crit Champ) out of the last turn, that usually NEVER HAPPENS to THE John Murphy. There is a short gif of it somewhere. The best thing about winning was that Hilton Clarke had just got his green card and was allowed to race in the US National Championships (they stopped allowing foreign riders a few years back) so I felt like I took the actual title back from him since he officially won in 2006 but still had his Australian racing license. PEZ: 2018 and the early season ‘desert races’ – what did you think of them? We didn't train correctly leading in to those races. We did a death camp of nearly 40.5 hours in 9 days with TONS of climbing. When we should have been focusing on high power lead outs as those races are so controlled and so flat that it all comes down to the final 15 minutes of the most high powered lead outs you will ever see. Straight, fast, pure drag racing. PEZ: You had 13 seasons as a pro – what were the biggest changes you witnessed in the bunch? The current level is higher than I have ever seen it. The sport is attracting more athletes and therefore we are seeing a high percentage of talented riders because of it. I am fitter than I have ever been and I am not moving forward in the group any more. The overall fitness of the women and men riders is amazing. Riders have access to more scientific training and usage of wattage meters has decreased the years of trial by error and learning to develop. The greatest fall back is the skill level of the current fields. Less riders are as skilled as they once were. That is why I am scared witless in some criteriums around the US. Luckily, skill is how I made it in this sport and that is how I have still placed myself in situations to have a chance to win or assist a teammate to win. If riders want to have a chance in the pro's they better be putting out some serious wattage at threshold in order to survive the races of attrition that is the current theme across the globe. PEZ: What was your favorite race and why? Japan Cup and Tulsa Tough (Tulsa Huff). It is the people and the way the city gets behind the races. No other race is so open and so fun. I would recommend both of these events as a fan and a competitor. These two should be on every pro's bucket list. PEZ: Which performance do you look back on with most pride? My Track Worlds bronze medal in the Omnium. Because I had been bed ridden sick for 10 days prior to traveling to Mallorca for the Worlds. Antibiotics had my bowels all torn up, the sinus infection left me weak and congested, but I was fresh. It was when we still did all the events in one day. I would come off the track after each event, completely whipped out, shaking my head to our head coach Colby Pearce (former Olympian himself). I just kept getting back on the bike and giving it my all in each event. In the end it came down to the final event. I won the bronze medal by 0.1 seconds. That night I cried in Pat McDonough's (US team official, ed.) arms because I wasn't able to do more. He laughed, hugged me, and told me how he just don't get what I just did. How he loves the drive in me, that’s why he put me in the event regardless of how the final preparation was. That made me look up and realize what I had achieved. I didn't quit. PEZ: What was your last race and how did it feel at the finish? My last race was at the Gateway Cup in Saint Louis, Missouri. It has always been the largest event in the Midwest (I grew up in Missouri). It was where those who wanted to make it to the next level in this sport would go and test themselves against the pro's who attended. I can remember winning the field sprint as an amateur and being so stoked, even though we had been lapped by the entire pro contingency. In my final race I had the climbing phenomenon Kyle Murphy and the currently USPRO Crit Champ Ty Magner. Ty said he wanted to get me a win, but I refused to hear him. He was the current pro champion and I was going to help him put a stamp on his dominance. I helped lead Ty out for two of his three wins over the four race weekend. I screwed up the final day lead out and he came in a close second. I crossed the line in a very close third place. I got to stand on the podium for my very last race, after leading out nearly every single day, in my home state, in front of my peers and friends. I couldn't have asked for a better ending. Plus we ate at a US themed restaurant every single morning for breakfast, Cracker Barrel. We all got the same dish each morning with heaping amounts of maple syrup and butter. It was amazing! My last real UCI race (Tour of Germany 2018) ended just like my very first UCI race (Tour of Hokkaido 1999) ended. In the broom wagon. PEZ: Any regrets/what ifs when you look back over your career? I maximized my sub par physiology to be competitive in a sport that my genetics just weren't meant to be in. I am more fit for farming than I am for endurance athletics. I can milk a cow by hand and through a couple hundred square bails around all day. I barely ran a 5 minute mile in high school. My VO2 is 60. My bone density is that of lead. My watts per kg meet at a point that doesn't even register as a pro, but you know what, I didn't quit. I like to tell people I was the only one dumb enough to not quit. Sometimes that is what can make a true champion. GRIT, I've just got a ton of GRIT. I do not regret any of it. I love this sport too much to regret not throwing my leg over the bike enough. I gave it everything I had. PEZ: What’s the direction now? I have an amazing opportunity to work in the human performance world. With Amp human performance, makers of PR Lotion. Utilizing bicarb as a tool to fight fatigue and muscle soreness. Working with athletes enables me to pull from my years of experience to help them get more out of each workout and event. I am super excited to be working with them.